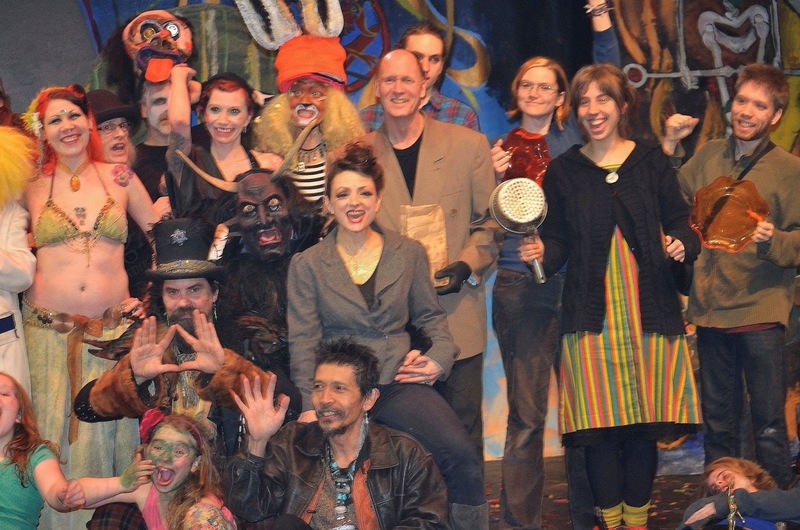 This March I've been helping out at In the Heart of the Beast Puppet and Mask Theatre. One of the things that I did there was I helped out with a show called "Strombolli's Medicine Show" created by Daniel Polnau. 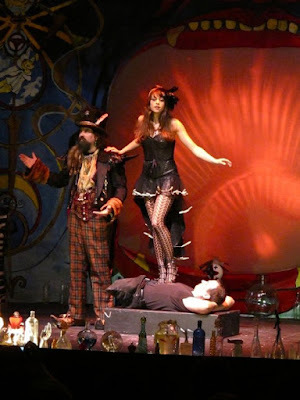 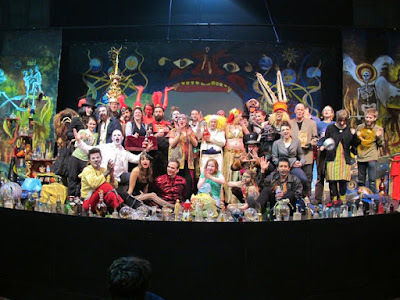 It was a sort of weird variety show, cabaret, magic, circus, medicine show... thing. This is the what the stage and backdrop looked like. 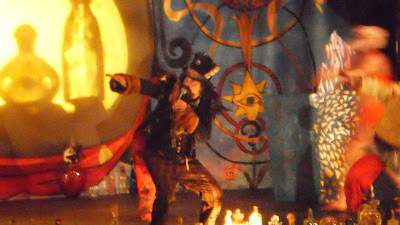 In the center is the cauldron that contains "the panacea to cure all the ills of humanity"
This is Dan as Dr. Strombolli - A zany medicine man who opens the gates to the spirit world to call forth a variety of strange creatures and acts to convince the audience of the existence of magic, and to ultimately fill the cauldron. 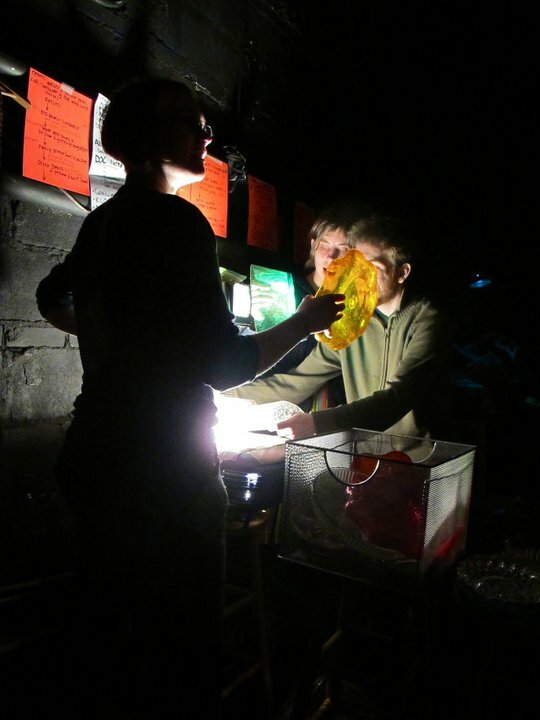 Here's MY part: Backstage I worked at an overhead projector with artists Kate Saturday and Olli Johnson to create kaleidoscopic projections behind the action, using colored plates and gels. One of the highlights of the show - an image that defies explanation. We had lots of fun, that's me on the right.